Yogi Teas are based on a unique blend of ayurvedic ingredients. 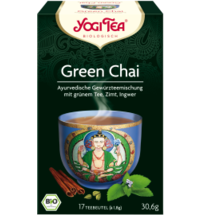 The original recipes for these teas were developed by the Yogi Bhajan. 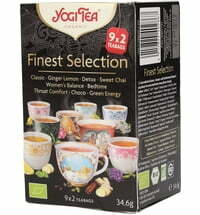 The very first yogi tea was made of a blend of black pepper, cinnamon, cloves, cardamom and ginger. These days, there are more than 80 different carefully selected, organic herbs and spices that are blended for the many varieties of Yogi Tea. Enjoy the delicious flavours!